FK Rad youth academy has produced number of talented players in recent years, such as Nemanja Pejčinović, Uroš Đurđević, Andrija Luković and Nemanja Kojić. Boris Radunović is the next “The Builders” graduate tipped to follow in their footsteps. He made his professional debut on his 17th birthday, 26 May 2013, in Serbian SuperLiga match against Radnički Niš, in which he replaced Filip Kljajić after 84 minutes- it wasn’t a memorable debut, though, as Boris let opponents score a goal on him just a minute into the game, however, this didn’t stop his team from winning 3-1. 2014/15 is his breakthrough season – he became a first team regular and gets a great deal of praise for his performances. 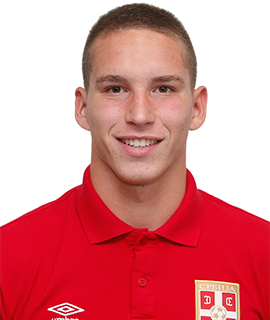 He is also a regular Serbia youth international and currently represents “Оrlovi” at U-19 level.